Prehistoric sounds of a living fossil. Album out now! Released on endlich elektro. The earth is shaking, leaves fall like spores from the trees of fern forests. Mighty giants rule the earth. They feel inviolable, invulnerable but still can not escape their fate. The story of Dinosaur Ballads. This story is an allegory to hardware synthesizers and the men who are obsessed by them. These machines defined once the peak of music technology. But technology and society move fast. Synthesizers are exhibited in museums like old bones of Iguanodons. On Dinosaur Ballads they rear up a last time, howling and growling their aching tunes of solitude. Available online as stream or download. Album out now! Released on endlich elektro. Available on iTunes, Amazon and everywhere else, too. Simple structures, simple sequences, simple syntheses. Simple Life. 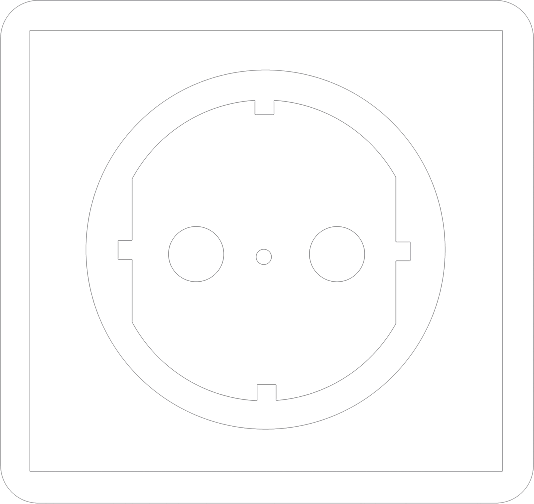 Tracks are simple, sound aesthetic is an art. When I got in touch with my first synthesizer in the early 90th I was immediately amazed by the possibilities of this marvelous alien instrument. 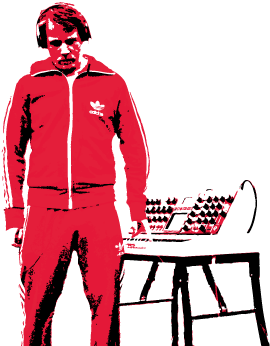 The name alone ... synthesizer ... was a promise of the future, it sounded like cities of glass. Since that time I am fascinated by electronic music devices. Without any musical background I was sucked into the world of oscillators, filters and modulators. And with my computer I was the leader and conductor of an electronic orchestra. Those machines obeyed my mighty sequence commands within a touch of a button. 25 years later I am still in contact with the machines. They are not that shiny anymore and the promise of the future vanished to a rational realization of the present that these instruments and their concepts are now a kind of electronic dinosaurs, threatened by extinction. They were grown and they will ever be a part of me. 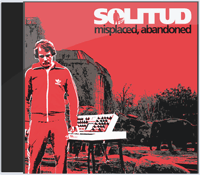 misplaced, abandoned is a downtempo electronic album whose genotype has an unmistakable old school vibe. The use of analogue sound generators underline the reference to the past and build a bridge to the present. Under the surface of hopeless clumsy mechanical beats and cliche vocoder voices oscillates a feeling of loss, disorientation and emptiness. The album misplaced, abandoned is about imagined absence of confidence, break out of isolation and the overcoming of fear. Available in online shops now! Voices from Youtube. Unbiased and unfiltered. thereby nobody could trace me.